The Teslacigs TPOD is a compact refillable pod mod with a 1.4” screen that helps you keep track of your battery life and puffs wherever you are. Perfectly sized to slip into your pocket or purse, the Teslacigs TPOD is sleek, ergonomic and designed to provide a super-convenient and satisfying vape on the go. Each 2ml TPOD pod contains a pre-installed 1.2ohm ceramic coil for pure, intense flavor, and the kit is optimized for nic salts or other high-nic vape juices. 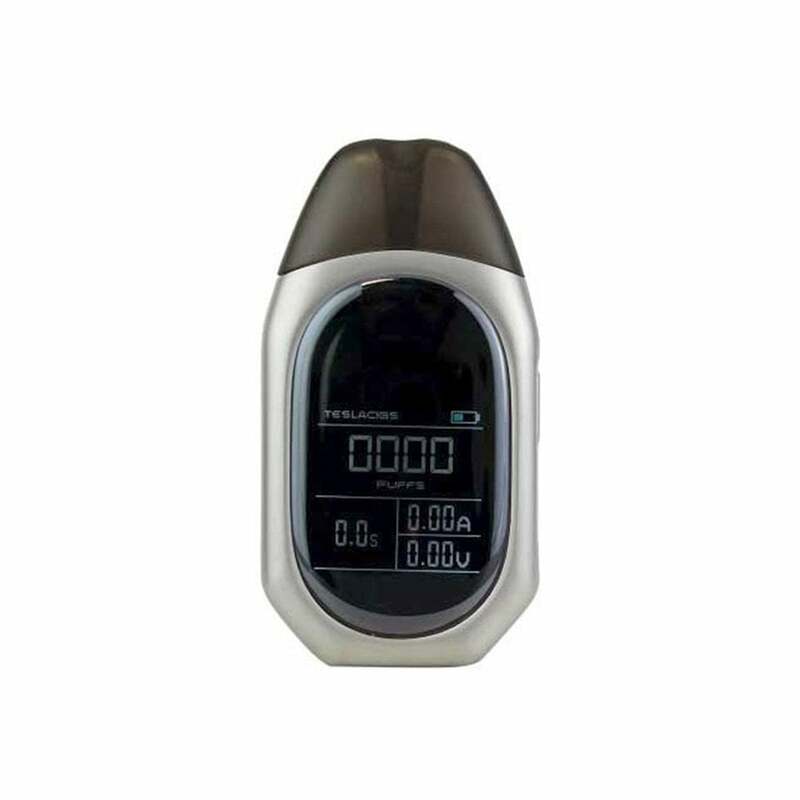 Using the kit is as simple as slotting a full pod into the top of the battery, pressing the power button five times, then inhaling on the mouthpiece. Tap the button once while the device is on to switch on the display, which will show you your remaining battery life alongside a puff counter, puff timer, voltage and amps. This is an innovative feature among pod devices, and helps you know in advance when it’s time to charge your Teslacigs TPOD. Charging the Teslacigs TPOD’s 500mAh battery is simple: just connect the device to a suitable USB port using the cable included in the kit. The TPOD delivers a great cigarette-style vape with a restricted draw that mouth-to-lung enthusiasts will love. If you’re looking for a pocket-sized pod mod that gives you all the information you need at your fingertips, the Teslacigs TPOD could be the device for you. Great both for newcomers and more experienced vapers, the TPOD delivers a flavor-filled and satisfying vape on the move. Really like the look of it, and works decently well... But I've only had it for 2 days and the screen no longer works, just displays white square. Unfortunate because I wanted to love it. Hi.is it possible to use salt nicotine and vape juice in Teslacigs TPOD? no setting is necessary?